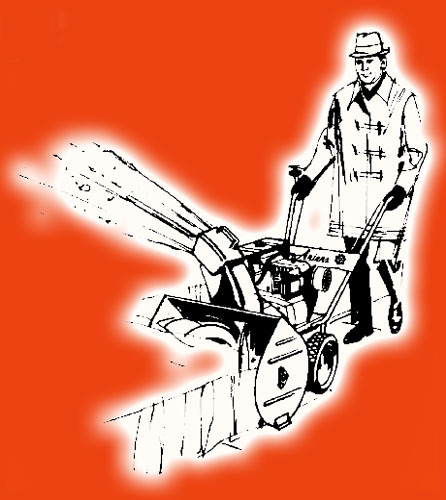 Yes, this is a webpage about a snowblower..
but not just any snowblower..a classic snowblower! Why have I made a webpage about a snowblower? and because I think its an interesting subject! Hi, my name is Scot, and im a native of Upstate New York. Been here my whole life.. Here in Western NY, we have SNOW! lots and lots of snow..
Buffalo, Rochester and Syracuse are famous (infamous?) for it. Anyone living down-wind of any of the Great Lakes knows what im talking about..
towns close down for days! by a few minutes, but by lunch time things are pretty much back to normal. a GREAT job keeping us moving out on the roads all winter! However, snow on a "personal level" is more of a concern..Once I get my car to the end of the driveway, im home-free..
but its my responsibility to clear the driveway! Which leads to..looking for a snowblower! after a few months of looking and research, I ended up with a 1971 Ariens! For the story of how I wound up with such a machine, read on! Page 2 - The story of how I ended up with a 1971 Ariens in 2009. Page 3 - Owners Manuals and Decoding Serial Numbers. Page 4 - First Series of Ariens Sno-Thros, 1960 - 1964. Page 5 - 10,000 series and Track-Team Attachments, 1965 - 1974. Page 6 - 22,000 Series, 1969 - 1978. Page 7 - 924000 Series, 1974 - 2004. Page 8 - 932000 Series, 1977 - 2005. Page 9 - Modern Ariens snowblowers, 2005 to Today. Page 10 - Engine swaps - replacing engines on old machines. Page 11 - PARTS! FAQ, Maintenance, Repairs and Research. Page 12 - Snowblower Restorations. Page 13 - Vintage Advertisements and Dealer Brochures. This educational, non-profit site is not affiliated with the Ariens Company. It is simply the "hobby webpage" of one satisfied 1971 Ariens Sno-Thro owner. All logos, names and trademarks are property of their respective owners. 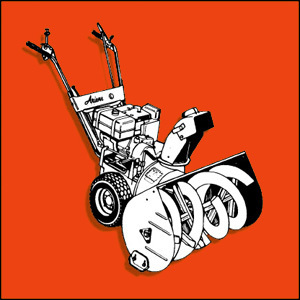 For information about Ariens parts, see here. I am a member on that forum, and its a very friendly and helpful place! The best place for snowblower discussion on the internet. If you have questions, you can find the answers there..